New Orleans’s newest running movement meets Tuesday evenings at 7 p.m., taking off from a different location that is announced on their social media channels each week. What makes the 504th unique is that all runs are completed as a group: Members rendezvous every half-mile or so before progressing for a total of five to seven miles. 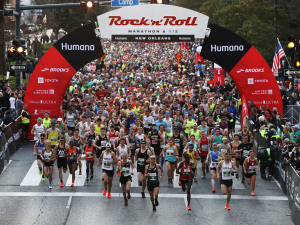 The group accommodates runners of all skill levels and assigns designated group leaders who can keep pace with new athletes, assuring no one falls behind. Many members gather after the weekly workout to socialize over drinks or dinner, while others coordinate additional unofficial runs throughout the week via the 504th’s invite-only WhatsApp group. The 504th is part of the Bridging the Gap (#BTG) running movement, bringing urban running communities together under one roof. 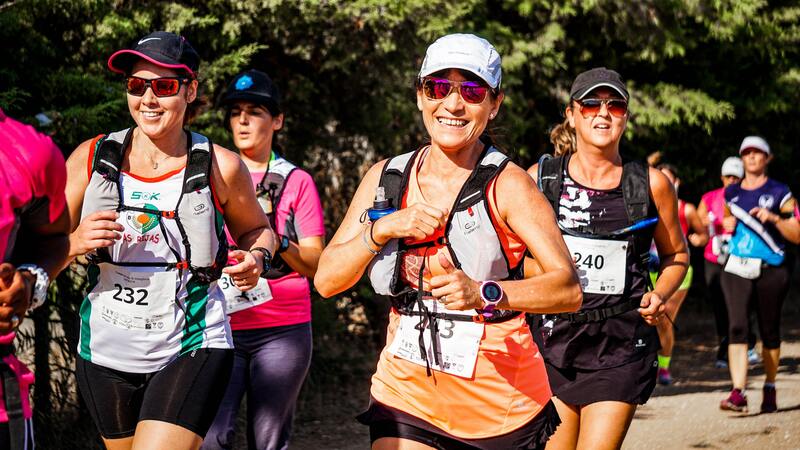 There are BTG running groups all over the globe, from Asia and Paris all the way to New York City and New Orleans. Recently, the 504th jumped on another global trend, hosting a street art run mapped around the works of the NOLA Mural Project. Move Ya Brass hosts weekly two- to three-mile self-paced runs every Monday at 6 p.m. During the fall and winter months during Standard Time (early November to early March) workouts begin at Crescent Park (3360 Chartres St.) at the Rusty Rainbow entrance; once Daylight Savings Time resumes (early March to early November), runs relocate to City Park in front of the New Orleans Museum of Art. Runs are open to athletes of all skill levels including walkers, and post-run hydration is provided courtesy of Evamor Water. 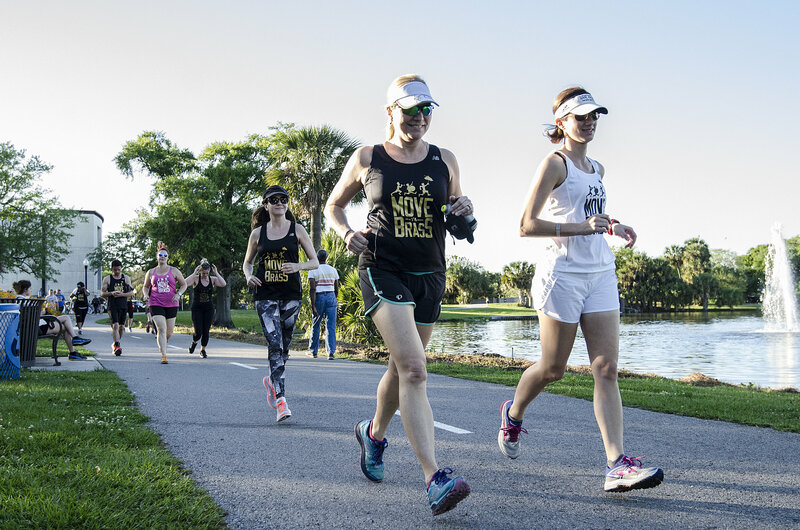 The group informally gathers to run local races together and to participate in additional Move Ya Brass organized workouts at Crescent Park, including dance-cardio or yoga on Tuesday evenings as well as Thursday and Saturday mornings. November Project is a free global-fitness movement that meets thrice weekly in New Orleans at the crack of dawn, no matter what—rain or shine, sleet or hail, clear skies or a tropical storm. 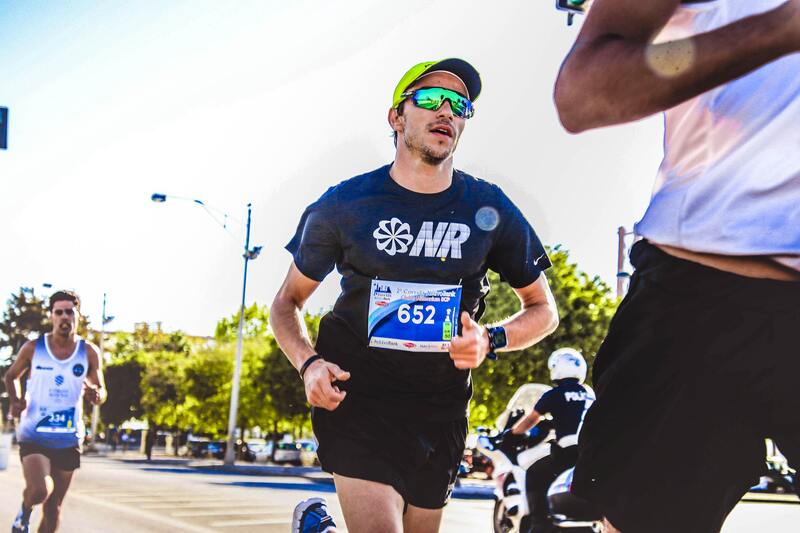 While running is often integral to its workouts and many members are active in local races and area running events, NP prides itself on not just being a running club. Every workout is designed so that both the most and least fit in the group can get out every bit of what they put in. Sessions typically last 50 minutes, starting with a warm-up before progressing to different timed circuits of bodyweight-style exercises, varying between group-oriented and individually paced workouts. Monday workouts begin at 6 a.m. and are held at rotating locations announced the day before via NP’s various social media outlets. Two workouts are available on Wednesdays, taking place at 5:15 a.m. and 6 a.m. at the bottom of the stairs to the Superdome in Champions Square. The first part of the workout generally involves a lap around the Superdome, followed by 10 or more minutes running up and down the stairs to the dome from Champions Square. Friday mornings begin at 6 a.m. in the parking lot nearest Shelter #1 on Lakeshore Drive, across from Landry’s Seafood. Several NP members participate in a group social committee, planning regular events for the group outside of its morning workouts. The “November Project Breakfast Club” at Russell’s Marina Grill has also become a staple that follows the group’s Friday morning workouts. Subscribe to Varsity Sports weekly running calendar email at VarsityRunning.com. 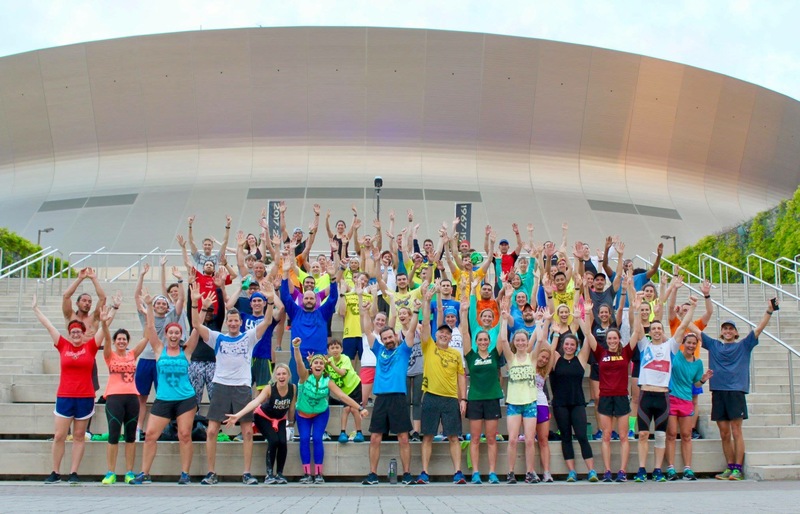 New Orleans’s most active running community, Varsity Sports hosts four or more social runs each week for everyone from ultra-marathoners to those just trying to have fun and stay in shape. Monday evening interval workouts are held at the City Park Practice Track starting at 6:15 p.m.; runs typically add up to around four to five miles, including warm-up and cool-down. Tuesdays, Varsity hosts its “Sunrise at Satsuma” run from Satsuma on Maple Street (7901 Maple St.) from 6:15 a.m. - 7:15 a.m. Runs typically include a 3.5- and five-mile route and are walker- and stroller-friendly. Wednesday is time for “Happy’s Running Club." An approximately 5k run takes off at 6:15 from Manning’s (519 Fulton St.). This is a fun, leisurely run with alternating routes through the CBD, French Quarter, and Riverfront. Happy’s Running Club is typically Varsity’s weekly social outing, offering runners a chance to drink and socialize following the workout. 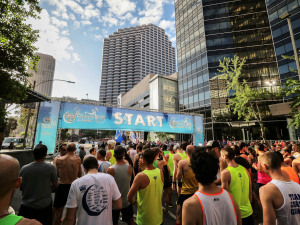 A long run is organized on Saturday mornings at 6:30 a.m., alternating starting locations each weekend between the New Orleans Museum of Art in City Park and the St. Charles Avenue entrance to Audubon Park. A variety of distances are mapped out along the route, ranging anywhere from three to 20+ miles. Runs are often, though not always, held on Thursday evenings as well, taking off from varying locations. Keep up with Varsity Sports on social media or subscribe to their weekly eNewsletter on their website for more info. New Orleans’s most “New Orleans” running club describes itself as a “Drinking club with a running problem.” The run, or “hash,” organizes each week at 6 p.m., alternating between Monday and Sunday evenings depending on the time of year; weekly locations are announced on their website and through the Facebook group. There’s usually also a social (read: “drinking”) event held at a TBD local bar on Friday nights. There are hash groups (called houses) all around the world, and they work the same everywhere. A member volunteers to be the “hare,” who lays a trail for the evening’s run/walk. This means that he or she designates the route of the run by throwing down blobs of flour on the ground for everyone else to follow—it’s all very Hansel and Gretel. The point is for the hare to throw off their fellow hashers, who are “chasing” him or her, through various twists, turns, tricks, and clues. Everyone stops halfway through the route for a beer break, called the “Beer Near.” At the end of the trail, usually two to four miles later, the “circle” forms: The group gathers round to drink beer, discuss hash business, and indulge in shenanigans like singing dirty songs or good-naturedly poking fun at each other. The evening concludes with an informal dinner. The hash costs $7, and that includes all the water and beer you can drink. The “food hare” also provides chips and snacks during circle, and an actual meal at the end of the evening.